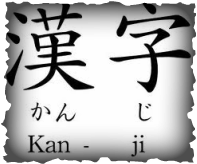 Kanji is probably the hardest to learn out of Hiragana, Katakana and Kanji. There are much more words to memorize, and each of these words have a meaning, unlike Hiragana and Katakana which are sounds which can form a meaning when put together. Knowing Chinese would help you learn Kanji a lot faster as these words are imported from China.